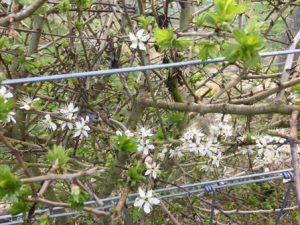 Welcome April and not so welcome theft ! 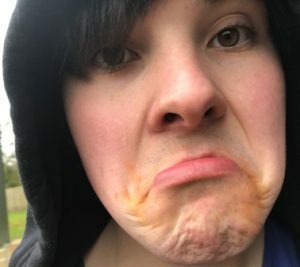 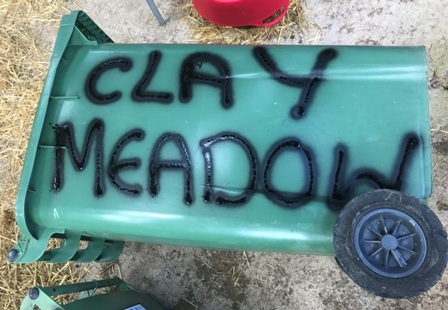 As April launched its showers upon us I was extremely annoyed to find on Bin day someone took one of our Green Wheelie Bins – we know who you are – shame on you! 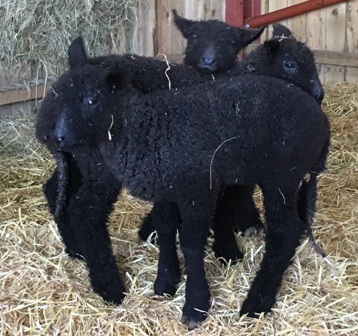 I have now marked them all so everyone else will know who you are too – !! Well we have been crazy busy and not letting the grass grow under our feet – although I have been having serious words with a few creeping thistles lately! 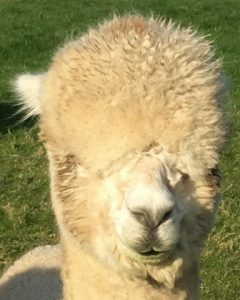 as have the white ones but even at 70kg they are still lighter than our lightest Alpaca at 78.2kg ! 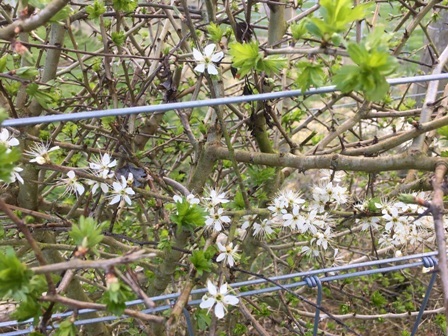 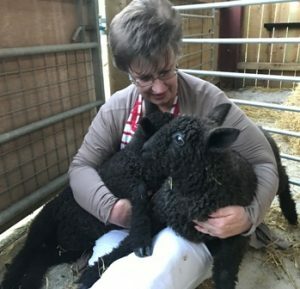 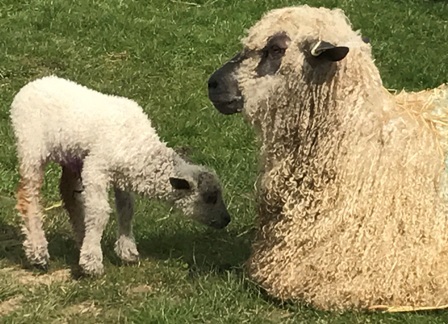 well in farming every day is the same in terms of livestock care and the Alpaca and the rare breed sheep were not going to respect the fact that it was Mothers Day – busy busy busy. 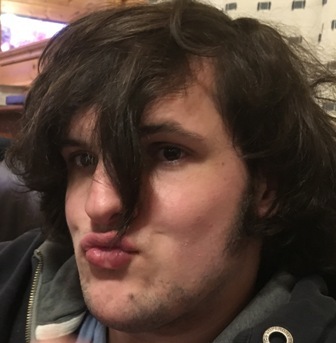 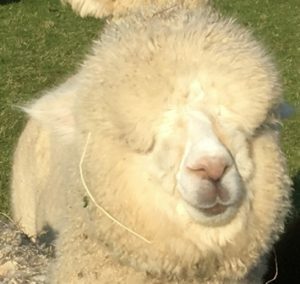 Hello – is it me you are looking for? Hello from the other side… looks like shearing time is nearly here…. 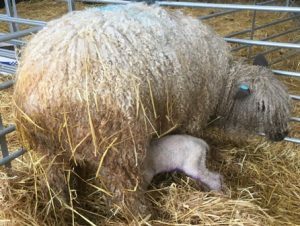 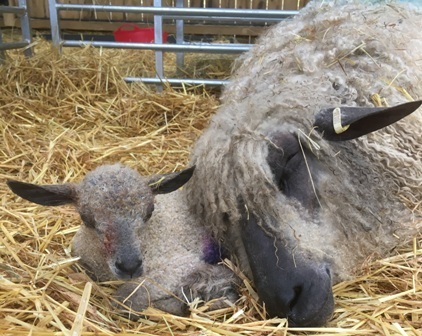 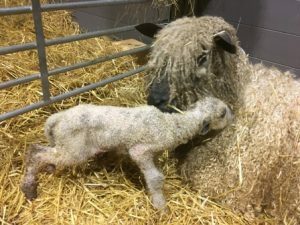 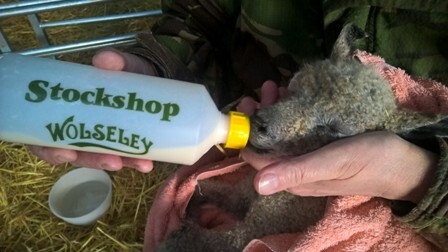 sleepless nights, bottle feeding – definitely still lambing at Kensmyth! 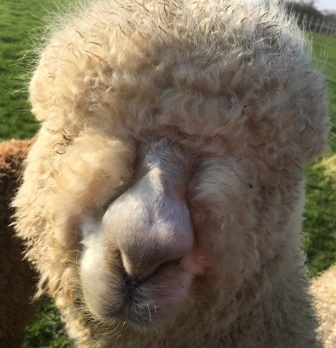 brings back memories with tiny teats for premature Alpaca having been bottle fed… here we go… again! 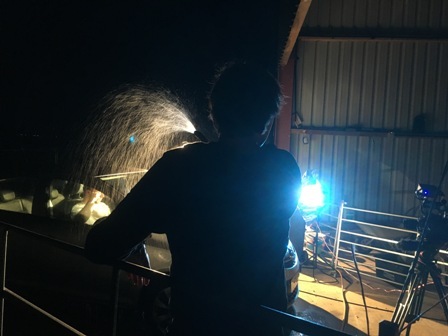 filming again at kensmyth – do we need more rain? 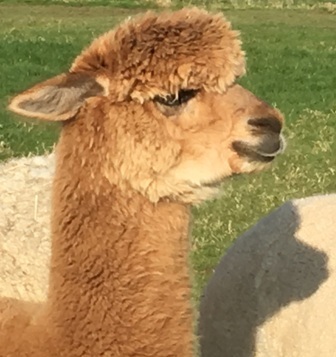 Everyone who reads our blogs or who has visited knows how tight a ship we run on Biosecurity and we do not mix Alpaca with sheep – despite the fact that Alpaca are amazing flock guards for lambs. 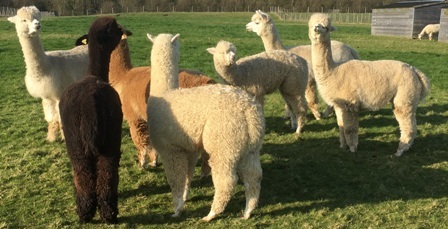 First turn out for the Black Wensleydales on a sunny day recently and the Alpaca stood as close as their 8ft lane would permit them to get a better look and be on guard! 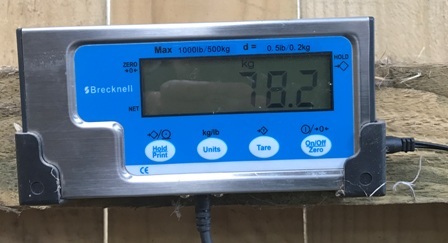 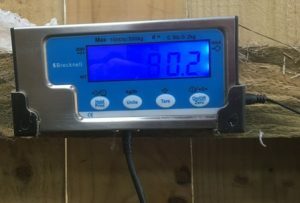 ahead of the rain though, time to weigh the Alpaca – you can just read this says 80.2 kg!